Usually when those questions are asked, it’s with an undertone of scorn, contempt, and smug superiority, i.e. the person asking is above owning such “brutish” things as a rifle. And it’s easy to respond with an equal amount of contempt. Obviously those responses solve nothing, especially since guns are a wedge issue in today’s polarized society. The traditional AR-pattern rifle sports a 16-inch barrel and is chambered for the .223 Remington cartridge and/or the 5.56x45mm NATO cartridge. With it’s negligible recoil, ergonomic features such as an adjustable stock, and comparatively lengthy barrel, a novice can be reasonably accurate with an AR even after brief instruction. Nothing frustrates a newbie more than not being able to hit the target after the first few rounds. Whether it’s at the range or in a defensive situation, a novice can pick up an AR and be reasonably sure he or she will be an effective shooter. Being confident in your skills is a big part of being successful with your shooting, especially in a defensive situation. I can personally attest to the confidence factor. When I first got into shooting, my only personal firearm was a Beretta Px4 Storm 9mm subcompact pistol. While it’s short barrel made for easy concealment, it was also a disadvantage for accuracy. While I built up some skills with the Px4 over time, I wasn’t as accurate as I would have liked. A few months after my Px4 purchase, I picked up my first AR, a Colt LE6920, aka the “M4Gery”. They called it the M4Gery since it mimicked the features of the military’s M4A1, though obviously the LE6920 is semi-automatic and has an NFA-compliant 16-inch barrel. After unboxing and going over the manual of arms, I took the rifle up to Nexus and got down to business. After about an hour of that, I was accurate to a “minute of blue man” (i.e. hitting the paper silhouette in a vital spot) at 25 yards. Frustrated? No. Thrilled? Completely. Confident? Definitely. Designed from the ground up to be easy to learn and handle, the AR is the most effective rifle for the widest range of people. Reasonably accurate, easy to operate and maintain (it was based on a military specification requiring ease of use), the AR is a breeze to operate effectively, and dare I suggest, fun in a recreational shooting sense. “PTSD” members of the media need not apply. My ARs are an effective tool for recreational and defensive shooting. I know I’m not wasting my time at the range, and I know that in a situation where trouble finds me, my AR will be a reliable tool to help get me out of that situation. 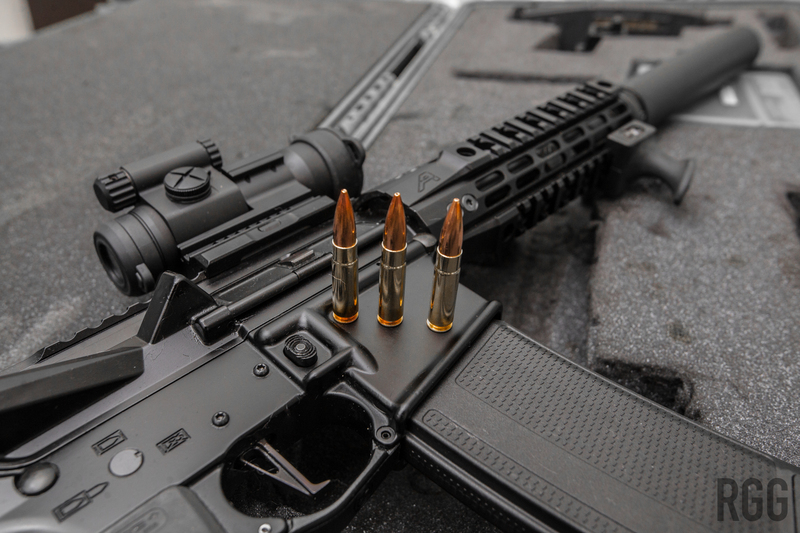 When most people think of the AR, they think of a black rifle that accepts a 30-round magazine and is chambered for the 223 Remington cartridge and/or the 5.56mm NATO cartridge. While this is true, the AR is the most versatile rifle platform on the planet. Starting with a basic lower, you can mix-and-match components, such as fixed and adjustable stocks, different grades of triggers, from standard GI ones to match-grade Geissele pieces costing hundreds of dollars, and a whole variety of grips, braces, sights, rail attachment systems, scopes, lights, laser aiming systems, and so on. Switching to a different caliber is often as easy as acquiring a new upper in the caliber you desire, and mating it with your existing lower - a ten second operation usually. Uppers for 300 BLK, 6.8mm SPC, 6.5mm Grendel, 7.62x39mm(AK), .458 SOCOM, .22 LR, 5.7x28mm, and even pistol calibers such as 9mm & .45 ACP exist. The best part is, the uppers are not restricted items. The lower is the serialized component that the ATF cares about. You can have one lower and order all the uppers you want and have them shipped direct to your home. I used to build PCs for fun and profit. The AR is sort of like that. 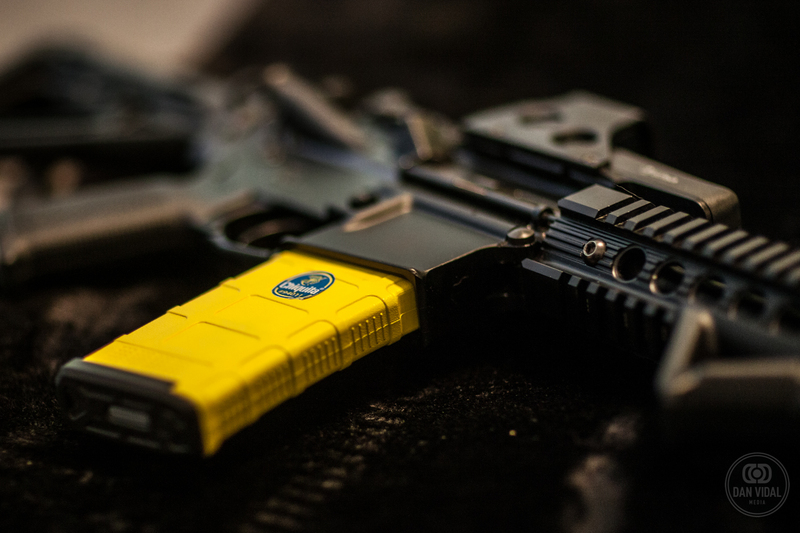 Instead of graphics accelerators, sound cards, hard drives and sticks of RAM, you have lowers, triggers, LPKs, uppers, magazines, rail attachment systems, vertical grips, flashlights, muzzle devices, suppressors, red dot sights, scopes, and more. If you like to customize and tinker with things, the AR platform is for you.